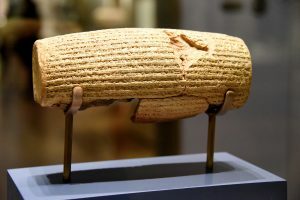 The Cyrus Cylinder dates from the 6th century BCE and was discovered in the ruins of Babylon, modern day Iraq, in 1879. It is named after the figure that stars in it’s text, King Cyrus of Persia. Cyrus was also referred to as Cyrus the Great. Cyrus was born between 590 & 580 BCE, in the Media or Persis region. According to ancient Akkadian texts, and according to the cylinder, Cyrus was tied to a lineage of royal leaders. His kingship is mentioned multiple times on the stone cylinder. [The] son of Cambyses, great king, king of Anshan, grandson of Cyrus, great king, king of Anshan, descendant of Teispes, great king, king of Anshan, of a family [which] always [exercised] kingship. His lineage should not be overlooked, as it was what propelled him to power. His parents were both prince and princess. His mother was the daughter of the king of Medes and his father was the son of the king of Persis, which was a vassal of Medes. A vassal nation or vassal group is a group of people that are under the leadership of another nation group; often the result of a failed military battle. According to the Greek telling of Cyrus’ rise to power, Cyrus overthrew his father his father as the when he was the king of Medes. After the usurping of the throne in 550 BCE, Cyrus began consolidating the rest of the populations in Iran underneath the Medes. Cyrus eventually conquered all the peoples in the Persian area and then turned westward to conquer all of Babylon. 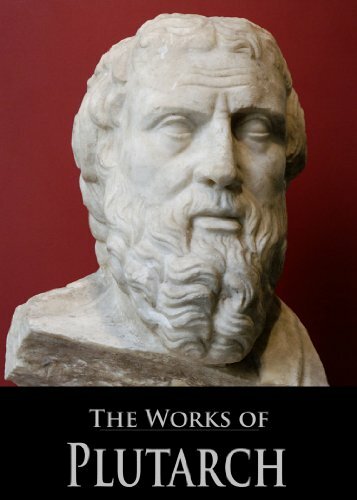 He succeeded in 539 BCE. At the time, the Babylonian empire was the largest and most powerful in all the lands. How did Cyrus manage to bring down such a nation? Cyrus was known for treating his conquered people well. He let them worship their own Gods and stay in their own villages. He did not murder the captured inhabitants either. As he conquered groups of people they actually submitted willingly to the Persian empire, knowing that being a vassal of Persia was a safe place to be. In fact, this is why Cyrus is known to the Jews as liberator. As the Babylonians conquered the Mediterranean lands they raped, pillaged, and murdered anyone on their way. The Jews were taken into exile and many murdered. They were marched in a long line with fish hooks in their noses. The biblical imagery is haunting. The Palace of Sargon is a bit of a misnomer because there was more than one Sargon. 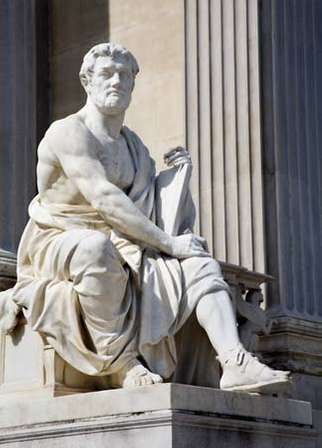 Typically when the inscriptions on Sargon’s palace is mentioned, it’s referring to Sargon II. The first Sargon, Sargon the Great, lived some 1700 years earlier. Sargon II lived from 765-705 BCE. Sargon is known for many things but most notably in modern times for his vast military campaigns. Though, not as brutal as the Babylonians, the Akkadian leader conquered northern Israel and most all of the Hittite region. Under Sargon’s reign the Akkadian empire reached it’s peak in world dominance and wealth. The territory spanned all of Mesopotamia, modern day eastern Turkey, modern day and western Iran. The Bible records the Akkadian rise to power and then the eventual conquering of the northern Tribes. The inscriptions on Sargon’s palace tell about the conquest in great detail. The palace is a tribute to the greatness of Sargon. The biblical account states that the siege took years and it appears that the original siege started under Sargon’s father, Shalmanese V. However, it was Sargon who finished the conquest and resettled the land. The prophet Isaiah recorded an oracle from the Lord that give us some insight to the stratification of Israel society. Many of the Israelites actually pledged loyalty to Egypt and even moved south towards Egypt, thinking Egypt could protect them from the invasion of the Akkadian army. However, God reprimanded them for running to Egypt and not the Lord. In the end, the Akkadians ended up taking over much of Egypt as well. The takeover of Egpyt was recorded also in the Sargon inscriptions. 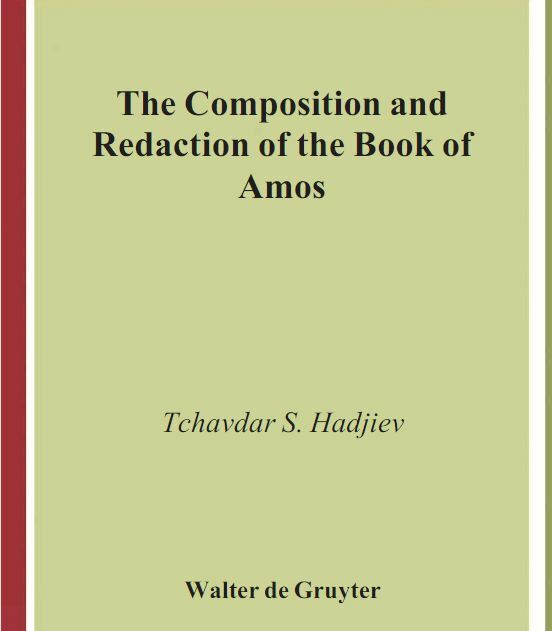 In the year that the supreme commander, sent by Sargon king of Assyria, came to Ashdod and attacked and captured it— 2 at that time the Lord spoke through Isaiah son of Amoz. He said to him, “Take off the sackcloth from your body and the sandals from your feet.” And he did so, going around stripped and barefoot. The Kurkh Monoliths are two Assyrian stela that contain a description of the reigns of Ashurnasirpal II and his son Shalmaneser III. The stela dedicated to Ashurnasirpal speaks of a time period just before Shalmaneser III. 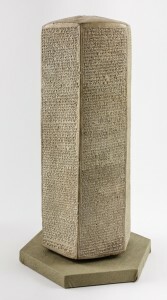 It is less discussed than the other stele from Kurkh because it does not correlate much history related to biblical matters. It weighs in at a whopping 3 tons and stands 3 meters (about 9ft) tall. It is sometimes called the “Banquet Stela” because it was made to commemorate Ashurnasirpal’s newly rebuilt city and palace. This stele was placed at the entrance of the new palace. For more on this stone refer to our article “Biblical Archaeology: The Banquet Stela of Ashurnasirpal II“. The other stela we will discuss below. The stone monument dedicated to Shalmaneser III is remarkable for a few reasons. It is one of the oldest inscriptions that mentions Israel and king Ahab. The stele records some of the booty collected on a military campaign, as the Assyrian army pushed further into the Mediterranean region. The booty included “2,000 chariots, 10,000 soldiers of Ahab, the Israelite“. Ahab reigned from 871–852 BCE. Little did Ahab know that soon the Assyrian army would campaign through the northern regions of Israel and exile the 10 northern tribes. Ahab said, “On the basis of a treaty I will set you free.” So he made a treaty with him, and let him go. The Mesha Stele is often called the Moabite stone because it was clearly a Moabite creation and it recounts the history of Moab’s subjugation to Israel. It is prized as being one of the oldest artifacts to mention the “house of David”, referring to King David, who united all of Israel under his military leadership. The stone also mentions YHWH, King Omri, and the Moabite revolt against Israel. Since it’s a record of history it covers a number of biblical events and names. One interesting thing about the stone is that it creates a mythological story about why Moab was defeated in battle by Israel. The story is designed very similar to the battle stories of Israel in the OT. According to the author of the Moabite stone, the Moabites did wrong in the sight of their god (Chemosh) and he sent them into a time of punishment. for Kemosh was angry with his land. The stone goes on to tell of the Moabite revolt against Israel which is recorded in the Bible as well. Similar to the later Kurkh Monolith, the war annals of Shalmaneser III were recorded all over his palace and various monuments. Like some of his predecessors, Shalmaneser wanted make sure the world knew of his greatness for generations to come. Perhaps the most important of Shalmaneser’s constructions was a black, 4 sided, monument that recorded his military exploits as well as pictures of certain events. The Black Obelisk is important to the field of Old Testament archaeology because it verifies events in the Bible that are not well covered outside of the Bible. It is also the most complete Assyrian obelisk yet to be discovered. The Obelisk also contains images of Israel paying tribute to the Assyrian empire as well as other conquered nations. This coincides with the biblical accounts of Shalmaneser in the book of Kings. Sennacherib was one of multiple Assyrian leaders that attempted to take Judah in battle. However, siege against the cities of Judah would take decades to complete and would ultimately fall to the next would power, Babylon, rather than to Assyria. The siege(s) of Jerusalem was one of the most catastrophic events in Jewish history. It should be of no surprise that it was recorded in the war annals of the opposing forces. It also demonstrates that Jerusalem was a city of great size and importance by the 7th century BCE, despite the claims that Jerusalem’s size and importance was over-stated in the Bible. While it may be hard to know exactly how large of a city it was, one thing is for sure, Jerusalem was big enough to warrant it’s place in the list of accomplishments by Sennacherib’s annals, though it appears that it took multiple attempts. The attempt recorded in the Prism is not of the final battle which lead to the defeat of Jerusalem. That is recorded in later annals of Sennacherib. While the Jewish account was a bit more favorable to the Jews, Sennacherib’s account was much different. In the Assyrian account, Jerusalem is not really besieged. In fact, Sennacherib seems to show some type of vassal alliance with Hezekiah. The ancient city of Lachish was just a bit south west of Jerusalem and was characterized as place where pagan worship took place. In fact, when King Hezekiah took the throne in Judah, he tore down the shrine located at the gate of Lachish. In 2016, archaeologists not only discovered the gate at Lachish but also a shrine, most likely similar to the one torn down by Hezekiah. The fact that this shrine still exists is most likely because shortly after it was torn down, Judah became under siege by the Assyrians and eventually the Babylonians. The final siege against Lachish, by the Babylonians, was recorded by Jeremiah as well as the historical writers. It is believed to have been destroyed by Sennacherib, in 701 BCE. Reliefs of this destruction and subjugation exist still today. However, Lachish is a very ancient city. Joshua lead an attack against Lachish, some 600-800 years before Hezekiah. The site, which is still being uncovered, has produced clay fragments, seals, personal items, weapons, and even public toilets. 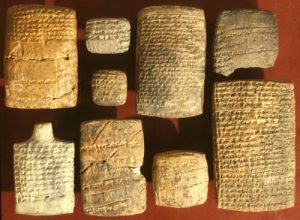 The Nuzi tablets are a collection of 6,500 cuneiform texts and fragments that have been discovered in northeastern Iraq. They deal with the social, economic, religious and legal institutions of the Hurrian people. 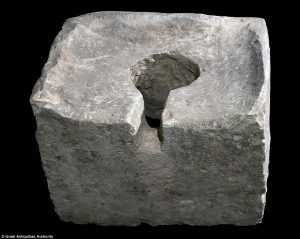 The importance of these tablets is summed up best by biblicalarchaeology.org. The culture of the OT patriarchs is believed by many to be strange yet history teaches us otherwise. The Nuzi tablets demonstrate that the biblical customs of the OT were normal and common. Egyptian king, Merneptah, reigned from 1213 to 1203 BCE. 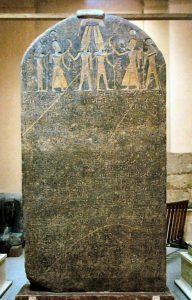 The stele associated with King Merneptah records military records and victory booty. It’s often referred to as the “Israel Stele” because it’s the oldest known mention of the nation of Israel. The time frame of Merneptah would have been just 200 years after the exodus even or immediately after it, depending on the exodus dating method. Thus, it’s mention of Israel is remarkable. Note that the nation listed right after Israel was Hurru of the Hurrians, which were the peoples that gave us the Nuzi tablets. 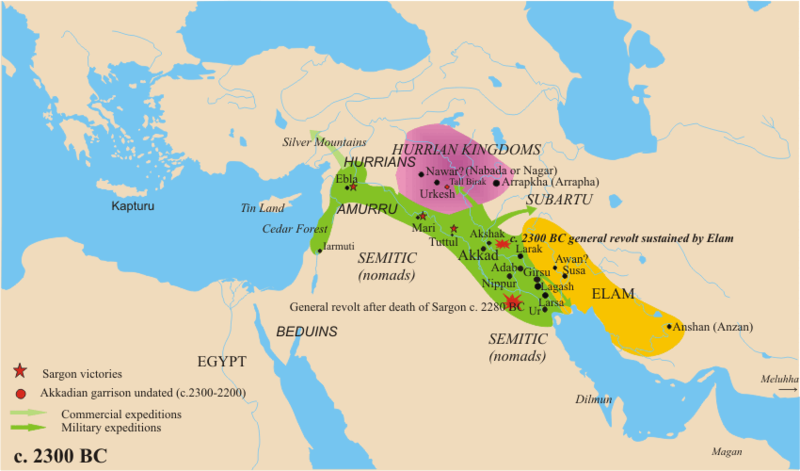 The Hurrians were Israel’s neighbors directly to the North, just east of the Hittites. The fact that Egypt’s conquest ranged from southern cities like Gezer all the way to Hurru is a good indicator that “Israel” is the correct translation of the text in line 27, though some have disputed it. Seminary M.Div graduate with a love for history and the Old Testament. I might also be addicted to memes. I get that. I find it interesting that throughout history across the world, there are a variety of the flood stories. Epic of Gilgamesh speaks of it, the Anishinaabe tribe of Canada have it as a large canoe vs boat, the Viking age peoples (pre-christianity) had a flood story… I find it fascinating. It does tell me one of two things in my opinion. The flood narrative in the bible was not a world wide event wiping out all of humanity, but more just the region. Or the story made its way across the earth and just changed to fit the narrative/design of the people of that region. It really has made me rethink a lot about Christianity and the how we presently interpret the Bible. 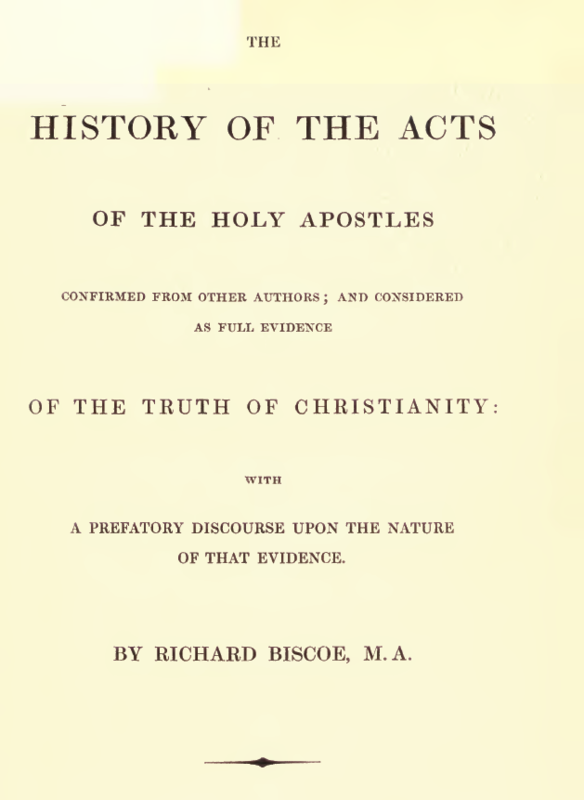 How do we adequately discern what was “law”(of Paul’s Epistles) and what was more current law/tradition of the times? I personally start looking from the emergence of Jesus’ commandment (Mark 12:30-31) and extrapolate my thoughts, behaviours, choices in life from that, and only just that. It’s not a position that’s well received in local churches. I agree. The many flood narratives are best explained by accepting that some major flood occurred. While it’s all but impossible to very the Noah story, we can still assume with some confidence that a flood absolutely happened and probably more than a few people tried to withstand the flood with a boat. I would like to see some information about the Mesopotamian and Babylonian versions of the creation, and the similarities to Genesis, the flood and Noah to name a few. The Enûma Eliš is what I am comparing Genesis to. I struggle because what is actually correct, Enûma Eliš recount or does Genesis tell the same/similar story but correctly? Robert, I think most creation myths are designed to be less historical as modern thinkers would like. Even parts of Genesis are clearly mythical and theological in nature. In the first 1/4th of Genesis all of the people introduced have names in Hebrew that correspond to their role in the story. This is characteristic of a made up story or a story where the original names were not known. But there is a clear cutoff point where the names of people go back to a normal convention, right after the patriarchs. I would not worry about which story is “correct” and instead worry about the message trying to be communicated by the story. Remember that part of Genesis were oral only for hundreds of years. Oral traditions have a tendency to get morphed through time, but the core message is always the same. After the patriarchs though, Genesis does start to turn more historical. 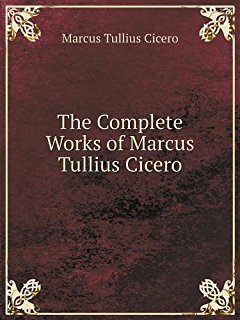 So much so that it can be corroborated by other texts and archaeological finds. We will not spam your inbox with offers. Was The NIV Corrupted By Homosexual Translators? Dust Off The Bible Copyright © 2019.